The contributions to this edited collection, first published in 1983, are based on two underlying themes. The first examines the major recession that took hold of the global economy during the 1980s and assesses its effects on key areas of social structure, including political and economic democracy and trade union representation. The second theme considers the limitations of state intervention in such changing circumstances, with particular reference to the welfare state. 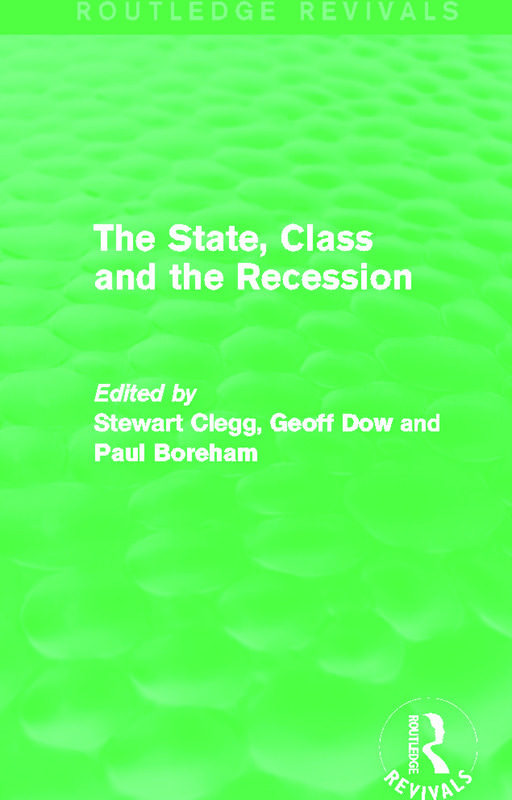 This is a comprehensive title, which is of great relevance to those with an interest in the current global economic situation and the potential impact of this on the welfare state and class structure.